New Ontario Liberal Leadership — and a changed political environment? The Seismic Change in Canadian Politics, Business, and Culture and What it Means for Our Future. The Public Affairs Association of Canada is pleased to invite you to our Award of Distinction Luncheon. Join friends, colleagues and fellow PAAC members as we honour the recipient of the 2012 PAAC Award of Distinction, Steve Paikin. The Government Relations Institute of Canada (GRIC) and the Public Affairs Association of Canada (PAAC) invite members of both associations to an open house discussion on the Lobbyists’ Code of Conduct, and related issues. The Government Relations Institute of Canada is pleased to invite you to a pre-budget panel in Ottawa in the lead up to the 2014 federal budget. The Public Affairs Association of Canada (PAAC) invites all to join us in welcoming back the Ontario Legislature for the 2014 winter session. Join PAAC on March 28 to hear Greg Lyle, Managing Director of Innovative Research Group, discuss the potential roads to victory for the Liberals, PCs and NDP as we enter a possible spring election cycle. Due to extenuating circumstances, this event has been postponed and will be rescheduled. Please join the Public Affairs Association of Canada (PAAC) for a special post-election breakfast panel on Tuesday, July 8, at BLG’s office, 40 King Street West, 44th Floor, Toronto. Please join PAAC on Monday, September 8, to hear Greg Lyle, Managing Director of Innovative Research Group, deliver a post-provincial-election presentation on the election results and what they mean for all three political parties. Join us for an inspirational morning of conversation with one of Canada’s most successful women in public affairs, Jennifer Keesmaat. PAAC is pleased to invite you to our Award of Distinction Luncheon to honour Dr. Ann Cavoukian. Please join the Public Affairs Association of Canada (PAAC) on Wednesday, October 29th for an exclusive post municipal election panel. Metro Vancouver Transit Plebiscite: Who’s Connecting With Voters and Why? How do you develop and sustain your relationships? How is the media landscape changing that will impact your media relations strategies and results? What are the key insights from the leadership race? What does the outcome of the election mean for the Ontario PC Party over the next four years? Join the Public Affairs Association of Canada on Tuesday, May 12th for a special panel of those close to the leadership campaigns. REGISTER for PAAC’s annual conference – The Art and Science of Public Affairs. Join us as we celebrate and honour excellence in public affairs. In November 2014, Campbell Strategies launched a pro bono campaign for Canada’s remaining thalidomide survivors. Although for many a forgotten issue, the campaign publicly raised the plight of Canada’s Thalidomide survivors, achieved a unanimous vote in the House of Commons (in just eight days), and resulted in a $180 million funding package for Canada’s remaining 94 survivors. This panel presents the “inside story” of the campaign – from stem to stern – including the strategy, tools and tactics to build the public case for government action. From direct government outreach to opposition engagement, from creating a broad-based media campaign to focusing coverage on one major news champion, the panel will share their experience and lessons that are applicable for all GR practitioners. Join Barry Campbell, Chris Holz, Natalie Dash and Ted Griffith of Campbell Strategies as they share the “inside story” of this positive outcome for a survivor group, delivered through government relations expertise and stakeholder collaboration. Join The Public Affairs Association of Canada for breakfast on Tuesday, October 27 for a panel discussion on the election, key turning points and what the results mean for Canadian public policy and your organization. Please join us on Monday November 23, from 5:30 to 7:00 pm as we present the Honourable Dr. Eric Hoskins, Minister of Health and Long-Term Care.? The Public Affairs Association of Canada BC Chapter (PAAC-BC) invites you to attend our 2016 annual meeting on January 22, 2016, 12:30 – 1:00 pm. Join us for an inspirational morning of conversation with one of Canada’s most accomplished and fascinating not-for-profit leaders. Join the Public Affairs Association of Canada (PAAC) for a breakfast and panel discussion that will focus on how organizations can advance their advocacy efforts with the new Federal government. On May 18th our expert panelists will discuss the risks and opportunities related to climate change that may exist for your organization, as well as how it may shape future policy development by government on all levels. Join us for our annual summer social in the city! As summer fades and calendars fill with meetings, take a couple of hours to connect with colleagues and PAAC-BC board members at this networking event. We look forward to seeing you there! The Fallout of the 2016 U.S. Election: What it means for Canada? Please join us for a special breakfast presentation featuring Greg Lyle, Managing Director of Innovative Research Group where he will discuss how and why the 2016 U.S. election unfolded the way it did and what the results mean for public affairs professionals across Canada. On December 13, 2016 Mingle with fellow members, guests and your Board hosts while enjoying beverages and appetizers at one of Toronto’s trendiest venues. We look forward to seeing you there. On May 9th, British Columbians go to the polls to choose who will lead the province for the next four years. Join the Public Affairs Association of Canada’s BC Chapter for an exclusive lunchtime discussion with Mike McDonald and Mira Oreck to hear insights and predictions about how next six months will unfold and what to expect during the 28-day writ period. Join us on Tuesday, March 21, 2017, for PAAC’s annual Queen’s Park Reception. Network with fellow members and key provincial decision makers. Attendance is free* to PAAC members who have renewed for 2017. Members may bring one guest. The Current State of Ontario Politics and Public Policy – What does it mean for 2018? Join the Public Affairs Association of Canada (PAAC) for an exciting panel discussion on the current state of Ontario politics, and the key policy issues that are currently top of mind in Ontario and will continue to be so until Election Day. Our conversation with Minister Thibeault will explore how the Fair Hydro Plan was developed, as well as some insight as to how he and his ministry navigated the complex nature of Ontario’s electricity policies along the way. Please join us for this exciting session. Join us for dynamic discussions covering a variety of topics such as career path recommendations and moves, work-life balance, experiential requirements to name but a few. Join the Public Affairs Association of Canada (PAAC) on Tuesday, June 6th for its annual Arts and Science of Public Affairs Conference. At: St. Andrew′s Club, Sun Life Financial Tower 150 King St. W.
Since 2001 the PAAC has presented an Award of Distinction* to a member of the public affairs community who, over their career, has made a significant contribution to public affairs in Canada. * Please note, if you have registered for the Annual Conference you do not need to purchase Award of Distinction tickets, as this event is already included in your conference registration. What are the key insights from the leadership race? What does the outcome of the election mean for the Conservative Party of Canada in the lead up to the 2019 Election? Join the Public Affairs Association of Canada on Wednesday, June 14th for a special panel of those close to the leadership campaigns. The Conservative Party of Canada held their Leadership Convention on May 26th and 27th in Toronto. A few surprising developments took place and there were many twists and turns along the way. Because of the leadership race, the party’s membership increased and there is now a lot of buzz as to what the future holds for the party. Join us for this special panel of those close to the leadership campaigns. Hear their insights and tactics while gaining unprecedented access to the strategies that make a candidate victorious. They will go into detail as to what took place behind the scenes and comment on what they believed were the key moments and lessons learned from this campaign. Space is limited, so register as soon as possible. Please note that this panel is “Off The Record”. Chris Rougier, Campaign Manager, Kevin O’Leary campaign ? * Some other campaign representatives have been invited and may confirm their attendance before June 14th. Come to exchange ideas and connect with women passionate about advancing and developing their public affairs careers. This is a unique opportunity to discuss applying our panelists’ inspiring and valuable insights to your career. Join the PAAC BC Chapter for our summer social. Catch up with friends or network with new people in the industry!? This is a free event ?– appies provided but participants are responsible for their own drinks. NAFTA: What does it mean for Canada? NAFTA: What does it mean for Canada?? The renegotiation process for NAFTA is now underway and much is at stake for Canada as the discussions continue to unfold. The renegotiation is placing a focus on several key policy issues, including: Labour, Supply Management, Procurement Rights, Rules of Origin, Environmental Standards, and much more. While the Government of Canada continues to promote the value of the trade agreement to its neighbours south of the border, the outcome of the renegotiations and the impact they could have on Canadians are uncertain. Join our panelists as they discuss the current state-of-play with Canada’s largest trading partner, the major public policy implications and what this renegotiation may mean for trilateral relations between Canada, the United States and Mexico and the agreement itself. A Roundtable Discussion on Housing Affordability: Should government be more or less involved? Surging home prices. Fast-rising rents. Uncontrollable bidding wars. These all describe Canada’s hot real estate markets and prompted sweeping action by governments to support housing affordability. First, there was the foreign buyers tax in British Columbia. Then, the Ontario Government announced its?Fair Housing Plan?to make housing more accessible for homebuyers and renters. The Federal Government also introduced measures to increase affordable housing investments across Canada with more announcements expected soon. Should Government be more or less involved when it comes to affordable housing? What is the role of the private sector? What needs to happen moving forward to ensure Canadians have access and options for affordable housing? Join us as our guest panel explores these questions and others during our Roundtable discussion. Where: The National Club, 303 Bay Street. BC Election 2017: What Happened, What’s Next? The BC Chapter of the Public Affairs Association of Canada (PAAC-BC)?invites you to a lunch-hour panel discussion with Elizabeth Cull, former NDP cabinet minister, Kevin Falcon, former BC Liberal cabinet minister, and?Matt Toner,?one of two deputy leaders of the BC Green party, as they break down what happened in the 2017 BC provincial election and lay out what’s next in provincial politics. Matt Toner is one of two deputy leaders of the BC Green party and an active member of Vancouver’s tech landscape. On November 8th?PAAC will host its second speed mentoring event for students and emerging professionals? (our first event was a hit!). This is?a unique opportunity to meet with a successful and diverse group of?professionals?working across the public affairs industry. ?Those currently working within the public affairs industry are also welcome to attend this event as an opportunity to network amongst peers. Join us for dynamic discussions covering a variety of topics such as career path recommendations and moves, work-life balance,?and?experiential requirements to name but a few. David Arbuckle is currently the Manager of Strategic Public Policy, External Relations and Outcome Based Planning and Budgeting at the Region of Peel. Prior to joining the municipal sector, David served as Chief of Staff to the Minister of Municipal Affairs and Housing. His work experience also includes legislative and stakeholder relations within the Ontario Government in addition to private sector consulting in the areas of strategic communications, government relations and issues management. Stewart Kiff advises his clients on important social, legal, economic and government questions. With nearly three decades of direct working experience in Ontario public affairs, Stewart previously worked as a daily newspaper reporter. Stewart is a founding board member of the Economic Club of Canada andhas also been an active volunteer with the Toronto Métis community and with numerous political campaigns. Stewart regularly writes and speaks about public affairs. His articles have been published in daily newspapers such as?The Ottawa Citizen?and?Le Droit d’Ottawa?and weeklies such as?L’Express de Toronto. Peter is a skilled facilitator who has a deep understanding of how government works and how to affect public policy.? Having held senior roles in the civil service and politics, he oversees Enterprise’s government relations and research arms, using his unique insight to advise clients how public opinion can affect government policy. Andrew is the Principal of AP Public Affairs. He has 30 years of public policy, campaign management and political experience gained while working as; a Special Assistant to a Cabinet Minister on Parliament Hill, an Assistant with Provincial Government Ministers and Members and Political Staff at Toronto City Hall. His private sector service includes being Manager of Municipal Affairs for Bell and as an Account Director of Public Affairs and Vice President of Municipal Affairs for Government Relations firms. Justin is a lawyer in the energy sector. After being called to the bar, Justin worked in the Ontario Government for the Ministers of Government Services and Energy.? He then entered the energy sector as a policy advisor with the Canadian Wind Energy Association and is currently serving as Vice President, Policy and Government Affairs for the Electricity Distributors Association. Patrick is the Policy & Government Relations Lead for the Ontario Society of Professional Engineers, an association representing the interests of Ontario’s 80,000 professional engineers and more than 250,000 engineering graduates. Prior to this role, Patrick held a variety of policy and stakeholder relations positions at Queen’s Park. He currently sits on a number of regulatory and industry advisory committees and is a fellow of the London Institute. A campaign manager, political contributor on Newstalk1010, and a craft beer aficionado. His advice: don’t mix all three. Michael’s experience has included work in the gaming, retail and consumer packaged goods industries. He has worked on political campaigns at the national level in Canada, as well as provincially in British Columbia, Alberta, Ontario and New Brunswick, and municipally in Toronto and Hamilton. Globally, he has worked on major projects in Australia and Trinidad and Tobago. Michael currently works with Rothmans, Benson & Hedges. Allan H.?Malek,?Executive Vice President and Chief Pharmacy Officer,?Ontario Pharmacists Association? D11 Treasurer, SGFP Rep. – Ontario Medical Association? PAAC is pleased to present a breakfast conversation on November 29th with Chris Ballard, Ontario’s Minister of the Environment and Climate Change.? Minister Ballard was appointed to this position on July 31, 2017. With the challenge of implementing a number of key policies, including those under the Climate Change Action Plan and the Ontario Waste-Free Ontario Act. These actions cover a variety of policy areas across government, which adds further complexity to his role. Key to the implementation of these policies will be communicating, both inside and outside government, the ministry’s objective and overarching motivation of the policies: to mitigate the impacts of climate change to our environment and economy. Please join us as we discuss these important and timely topics with Minister Ballard, and get his insight as to how he intends to address these complex challenges. We would like to thank the Chemistry Industry Association of Canada (CIAC) for their generous sponsorship in support of this event. This is a free event – with appies and a drink ticket provided. Tuesday, December 12, 2017 – 3:30 to 5:00 p.m.
At the AGM, elections will be held to select the 2018 PAAC Board and Executive. Each year half of the positions on the PAAC Board (5 in total) are open for election. All PAAC members in good standing are entitled to run for one of the five (5) board positions. Nominations will be accepted from the floor. The 2018 Ontario provincial election?is?shaping up to be one of the most significant in Ontario’s history given that many voters are looking for fresh ideas from all three political parties. Also important will be its impact on Toronto’s mayoral election set to take place in the Fall. What are the party brands? Which issues matter to Ontarians? How is the public opinion of party leaders changing and why? How are the Leader images changing and why? What’s the impact of advertising, social media and campaign events? IRG correctly called the outcomes of some of the toughest elections in recent memory. Greg will draw on both Innovative latest survey research and his own extensive campaign expertise. This event is your opportunity to get up to speed on the current provincial political landscape and to know the key questions to ask and issues to watch as the June 7 election approaches. Mingle over breakfast and network with public affairs professionals to kick-start your year! The Public Affairs Association of Canada BC Chapter (PAAC-BC) invites you to attend our 2018 annual meeting on Monday, March 19, 12:00 pm – 1 pm. The PAAC-BC will provide a summary of its work in 2017 and hold a vote on a new chapter executive. If you are a PAAC-BC member in good standing and would like to participate by serving on the chapter executive, we are accepting nominations for the below positions. Deadline is Monday March 5, 2018; however, nominations will also be taken at the AGM from the floor. Please email the following information to Tamara@coastcomms.ca if you are interested. All PAAC-BC members are eligible to vote. To become a member please visit /989/join-paac/sign-up-now. For more information on PAAC-BC, please visit /989/british-columbia-chapter-of-public-affairs-association-of-canada-paac-bc/. Reception. Network with fellow members and key provincial decision makers. Note: You will be required to show current photo identification in order to enter the Legislative Building. Following the unprecedented Ontario PC leadership race that culminated with the election of Doug Ford as Ontario PC Leader, join PAAC for an exciting breakfast conversation on April 9 featuring three representatives from the various leadership campaigns. The high-profile leadership race came together quickly – candidates rushed to deal with changes to the previous leader’s policy platform, internal party concerns, and the voting process itself.? How did the candidates tackle these challenges while also being mindful of the impending provincial election and other political parties? Are you a student or emerging professional? On May 2, join PAAC for its semi-annual speed mentoring event! This is a unique opportunity to meet with successful senior professionals working across the public affairs industry. Those currently working in public affairs are also welcome to attend and network amongst peers. As Director of Government Policy and Stakeholder Relations for RBC, Judy Dobbs is a member of the Regulatory and Government Affairs team that ensures RBC has maximum flexibility to pursue enterprise and businesses’ strategic objectives within the governmental and regulatory environments in which RBC operates.? Prior to joining RBC Royal Bank, she worked in the Ontario government as Legislative Assistant to Charles Harnick, MPP Willowdale, and Attorney General and Minister Responsible for Native Affairs.? Responsibilities included issues management, legislative policy development, crisis management and community relations. Kelly Harris is Vice-President, Corporate and Public Affairs at FirstOntario Credit Union.? Kelly?engages government, regulators and stakeholders in developing a modern framework for credit union oversight. He has served as a Director on the Board of the Canadian Credit Union Association and as Regional Director, Government Relations at Central 1 Credit Union. Prior, Kelly held senior staff positions in the British Columbia Government and in Her Majesty’s Loyal Opposition in Ontario. Tamar Heisler has over ten years of progressive experience working in energy and economic policy issues. She is currently the Director of Government and Industry Relations at the newly created Alectra Utilities. Tamar began her career in the Ontario Public Service working on economic development policy files at the Ministry of Aboriginal Affairs in 2006. She transitioned to increasingly senior political roles serving as a policy advisor to the Minister of Aboriginal Affairs and later, to the Minister of Energy. Laura Hewitt is the Assistant Vice-President of Government and Regulatory Affairs at Sun Life Financial. ?Laura is a seasoned public affairs professional with over ten years of experience in the public, private and non-profit sectors. Prior to joining Sun Life, Laura lead the government relations, corporate outreach and communications team at Export Development Canada, a federal crown corporation responsible for supporting Canada’s exporters. She has also held positions of increasing seniority with the Government of Ontario, the Government of Canada and in the non-profit sector, in a variety of subject matter areas. Rob leads the Health & Wellness Team at?Argyle Public Relationships. ?With almost 20 years of agency-based healthcare communications experience, Rob believes effective communications are contagious and based on personal relationships. He interacts with health reporters and both patient and physician associations on a daily basis. He provides a variety of communications skill sets to his healthy roster of clients including; strategic planning, issues management, advocacy counsel, media relations, stakeholder relations and both patient and health care professional engagement recommendations. Elizabeth has been working with clients over the past 10 years in a variety of sectors to advise and execute public affairs strategies, meeting programs and lobby days at Queen’s Park and Parliament Hill.? Elizabeth also executes stakeholder engagement programs. Prior to joining Global, Elizabeth worked with the Toronto District School Board as Constituency Assistant for the Trustee of Etobicoke-Lakeshore where she planned community events and fundraisers in the ward. We Thank our In Kind Sponsor:? The rise of online platforms has forever changed the world’s political processes. They have created unparalleled access to politicians by creating direct channels for discourse, caused wide-spread news circulation and enabled social movements. But what role do online platforms play in ensuring ‘fake news’ do not spread and that citizens receive unbiased information to be able to make informed political decisions? Who are the actors controlling what we see online? What protections exist to ensure our lawful use of data? Join us for a panel discussion as we consider some of the most challenging and topical issues influencing democracy at every level of government. Summer is around the corner and patio season is just beginning. 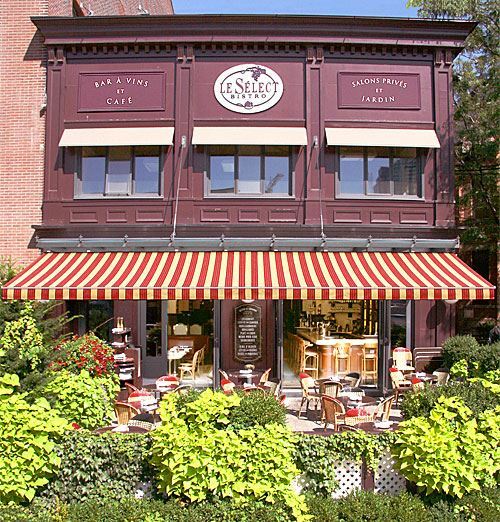 After a busy spring on the political front,?join your PAAC Board, fellow members and guests for social networking at the chic Le Select Bistro. ?Light appetizers and drinks will be served. One of Canada’s leading experts on civic engagement, Ms. Palvetzian has been CEO of?CivicAction?since January 2014. Under her leadership, CivicAction has focused on building inclusive cities with the launch of the?CivicAction Leadership Foundation?to change the face of leadership in our region and initiatives focused on?youth unemployment?and?mental health in the workplace?which level the playing field of opportunity and access. Throughout her career, Sevaun has advocated for new voices at the tables of influence including championing the next generation of leaders. The political landscape in Canada is changing. Party lines are no longer clearly defined, elections are increasingly unpredictable, and the noise is harder to cut through than ever before. For public affairs practitioners, our jobs have become more challenging, as we seek to navigate fake news, new regulations, competing interests, budget constraints, and new technologies. Join PAAC and hear directly from leading experts who will share strategies, tactics, and best practices to help you navigate your way to success. Public affairs consultants work with clients in varying capacities, whether it’s working together with an internal?public affairs team, directly with a corporate executive team, or as a vendor in a corporate culture that’s new to government relations. Ensuring consultant work is responsive?and aligned with internal goals and?decision-making are integral to the success of consultants. Three panelists will share?their perspectives and learnings on navigating different corporate cultures?and structures to best work towards public affairs objectives. With extensive experience in the public, private and non-profit sectors, David Agnew became the fifth president of Seneca in July 2009. Under his leadership, Seneca has experienced record growth in enrolment and expanded its offerings in both undergraduate and graduate programs. One of the largest colleges in Canada, Seneca is growing its applied research, broadening international and corporate partnerships, investing in capital expansion and adopting an innovative academic direction to increase experiential, cross-disciplinary and flexible learning opportunities. Mr. Agnew was Secretary to the Cabinet and head of the public service in the Government of Ontario, Canada from 1992 to 1995 after serving as Principal Secretary to the Premier. In 1995, he led the Public-Private Partnerships Project and was seconded to Massey College at the University of Toronto where he was a Senior Resident. He was the President and CEO of UNICEF Canada, the first head of the organization recruited from outside the international development sector. As Principal for the consulting firm Digital 4Sight, he led the firm’s global research initiative on Governance in the Digital Economy, an exploration of the impact of technology on government and democracy. In the co-operative sector, he was the Executive Vice-President and Corporate Secretary for the Credit Union Central of?Ontario. Mr. Agnew was the Ombudsman for Banking Services and Investments, the national dispute resolution service for consumers and small businesses.Mr. Agnew’s working life started in high school as a newspaper reporter in Toronto and he continued his journalism career in St. John’s, Ottawa and Edmonton. He was the gold medallist when he graduated from Memorial University of Newfoundland with a B.A. in political science. Following his studies, he was a Parliamentary Intern at the House of Commons of Canada. Mr. Agnew is on the Board of Directors for Polytechnics Canada and Colleges and Institutes Canada. He is the past chair of Sunnybrook Health Sciences Centre and Colleges Ontario. He also serves on numerous other boards and committees, including the Toronto Region Immigrant Employment Council (TRIEC), the Council on Foreign Relations’ Higher Education Working Group on Global Issues, Sichuan University’s International Advisory Board, CivicAction Steering Committee, ventureLAB’s Board of Directors and Canadian Ditchley Foundation Advisory Board. He is a former member of the federal government’s Science, Technology and Innovation Council, a former director of the Empire Club of Canada and has served on the campaign cabinets of the United Way in Toronto and Peel. The government relations team of an industry association has an important role to play in helping member companies remain complaint with the law and stay up to date on regulatory developments. Members also expect their association to advocate and lobby the government on their behalf. This session seeks to identify best practices and challenges associated with associations engaging members in their advocacy efforts, while also looking at best practices in consulting with government. Grassroots lobbying enables the public to reach legislature and make a difference in the government’s decision-making process. Today, the use of digital platforms such as social media has only enhanced the public’s ability to affect change from the grassroots. Companies and associations across the country are taking advantage of a grassroots lobbying strategy to advocate for different issues and stakeholders. This session seeks to outline how to create a successful and proactive government relations strategy for your firm. Simply put, organizations with interests in multiple jurisdictions represents a considerable challenge. With finite human and financial resources, organizations of all sizes need to find ways to get the most bang for their buck, while not sacrificing the outcomes of what they are trying to achieve. Learn about the tools and tactics for how organizations can effectively maximize their efforts across vast landscapes, varying political and public interests, and a diverse population set. When Marshall McLuhan suggested that “the medium is the message”, he most likely wasn’t referring to tweets and Facebook messages; but his words still ring true today. How we get our messaging across can be just as important as the message itself. As public affairs practitioners develop campaigns and approaches to government and the public, it is important to know the most effective tactics to ensure the message is received.? This session will further explore the role of social media in government relations, and identify key points to consider when putting together your next campaign. Grassroots lobbying enables the public to reach legislature and make a difference in the government’s decision-making process. Today, the use of digital platforms such as social media has only enhanced the public’s ability to affect change from the grassroots. Companies and associations across the country are taking advantage of a grassroots lobbying strategy to advocate for different issues and stakeholders. This session seeks to outline how to create a successful and proactive government relations strategy for your organization. Chris Ballard has been a journalist, a public affairs practitioner, a business owner, a?town councillor, a member of provincial parliament and a cabinet minister. He’s taught?college for new Canadians in Toronto, built businesses in Canada’s far north with?Indigenous communities, and has canoed and hiked more kilometres of remote Canada?than he can remember. Among his proudest accomplishments is a couple of terms as President of the Public?Affairs Association of Canada, where he escaped with an Honorary Life Membership. ?He’s even prouder of being married for 34 years to Audrey, his partner-in-adventure,?and being dad to three great young adults. (first time since 1974), and the implementation of a trust fund with First Nations to?(finally!) begin cleaning up the mercury-ladened English-Wabigoon River System in?northern Ontario. He was a member of the government’s Treasury Board and a passel?of Legislative Assembly committees. And now Chris is running for mayor in his hometown of Aurora. 4:30 pm Closing Session – Pundits and Pints – A (NEW) PAAC Tradition? Attendees of the PAAC Annual Conference are eligible for a complimentary month of access to The Lobby Monitor. The Lobby Monitor is the leading news source on Canada’s lobbying business. Gain access to exclusive coverage from our in-house journalists and keep an eye on who is influencing top decision makers on the federal scene. Stay up to date on new lobbying strategies, who’s who in the industry and government, follow lobbying registrations and more. Following the access, special pricing will be made available exclusive to attendees of the conference, so have a look and see if it’s right for you! As you are likely aware, the Fall sitting of the Ontario legislature is now well underway with many high profile issues and policy topics covered in the news and discussed in offices across the province. Building relationships and seeking external insights to inform your strategies is key to working with officials and stakeholders. As such, to support your efforts in getting to know newer MPPs at Queen’s Park, PAAC and the Canadian Club Toronto (CCT) are co-hosting a?member only?informal reception in downtown Toronto on October 24th. Both PAAC and the CCT have a history and passion to connect Ontarians with leading officials from across the public affairs spectrum. Our events allow members such as yourself to engage with officials on key topics of the day, to share ideas, to debate issues, and to inspire greatness in our province. Visit the CCT website via?this link?and use the code in the email sent to all members.? On behalf of the PAAC Board, we look forward to seeing you at this very special evening. Space is limited, so please purchase your tickets today. government decisions. Brett is responsible for the firm’s federal?government relations practice, its strategic communications business and?coordinates its provincial GR outside of Ontario. Brett is well-known in?business and media circles for his thoughtful guidance and positioning of?complicated issues leading to better business, policy and political?outcomes. Daniel Malik is Vice President, Policy & Stakeholder Relations for Toronto Finance International (TFI). ?TFI is a public-private partnership between Canada’s three levels of government, the financial services sector and academia. TFI’s mission is to lead collective action that drives the competitiveness and growth of Toronto’s financial sector and establishes its prominence as a leading international financial centre. ?Prior to TFI, Daniel served as a Senior Policy Advisor to the Ontario Minister of Finance and as an economist in the Federal-Provincial Relations Group at the Ontario Ministry of Finance. Ginny Roth is National Practice Lead for Government Relations at Crestview?Strategy’s, a public affairs agency. Prior to joining the Crestview team,?Ginny worked at Queen’s Park and as a party organizer for the Ontario PC?Party. At Crestview, Ginny acts as the lead consultant for both national?trade organizations and corporate clients with a specific focus on?servicing clients in the disruptive economy space helping them navigate the?regulatory and legislative challenges that exist with new market entry. She?has appeared as a panelist and contributor on television and radio?commenting on a wide range of political issues for CTV, CityTV and other?media outlets. Alexandria’s experience in multi-national ?GR environments facing increasingly strict regulations helped prepare her for her current role as a B2G Director. In addition to working in a contentious FMCG GR climate, Alexandria spent a considerable time in Brussels, working with both private and public organizations including the European Commission and the Organization for the Prohibition of Chemical Weapons. Her specializations include stakeholder relations, Canada – EU political and economic development, deriving data driven insights, implementing change management practices and policy creation. During the event, PAAC-BC will also provide a brief update of?recent lobbying changes announced last month?that will likely be in effect in 2019. PAAC-BC submitted to the consultation?and will provide input into the development of the regulations. ?Before doing that, we want to hear from members. Time and Date:?Wednesday, November 28, 2018 from 11a.m. to 1p.m. The year is almost over, but the holidays are upon us! Join your PAAC Board, Members and Guests for social networking while enjoying light appetizers and drinks at the Shore Club. At the AGM, elections will be held to select the 2019 PAAC Board and Executive.? Each year half of the positions on the PAAC Board (5 in total) are open for election.? All PAAC members in good standing are entitled to run for one of the five (5) board positions.? Nominations will be accepted from the floor. Thursday, December 13, 2018 – 3:30 to 5:00 p.m.
1.? Call to Order? ? ? ? ? ? ? ? ? ? ? ? ? ? ? ? ? ? ? ? ? ? ? ? ? ? ? ? ? ? ? ? ? ? ? ? ? ? ? ? ? ? ? ? ? ? ? ? ? ? ? ? ? ? ? ? ? ? 2.? Approval of Agenda? ? ? ? ? ? ? ? ? ? ? ? ? ? ? ? ? ? ? ? ? ? ? ? ? ? ? ? ? ? ? ? ? ? ? ? ? ? ? ? ? ? ? ? ? ?? This entry was posted in and tagged Events on April 17, 2013 by Richard Bellemare.